SIS designs and manufactures large area, screen based x-ray imagers (LSXI). While flat panel detectors are popular, the panels themselves are only available in a limited number of sizes and resolutions. Alternative sizes and resolutions can be achieved by using an x-ray imaging system based on a scintillation screen optically coupled to an ultra-low light camera. Using this technology SIS can manufacture detector systems with imaging areas ranging from 25mm x 25mm to 1000mm x 1000mm. Designing and manufacturing a good efficiency, high energy detector is technologically demanding, requiring careful matching of all the imaging components. In addition solid state cameras can be damaged by high energy radiation and providing good radiation shielding to protect the camera is a difficult task. SIS has considerable expertise in the design and manufacture of such detectors and use a number of innovative shielding techniques to virtually eliminate potentially damaging, life shortening 'sparkle' from the bombardment of the sensor device by direct and scattered radiation. Our low-light scientific camera technologies allow real time (25/30 frame per second) imaging at low light levels. 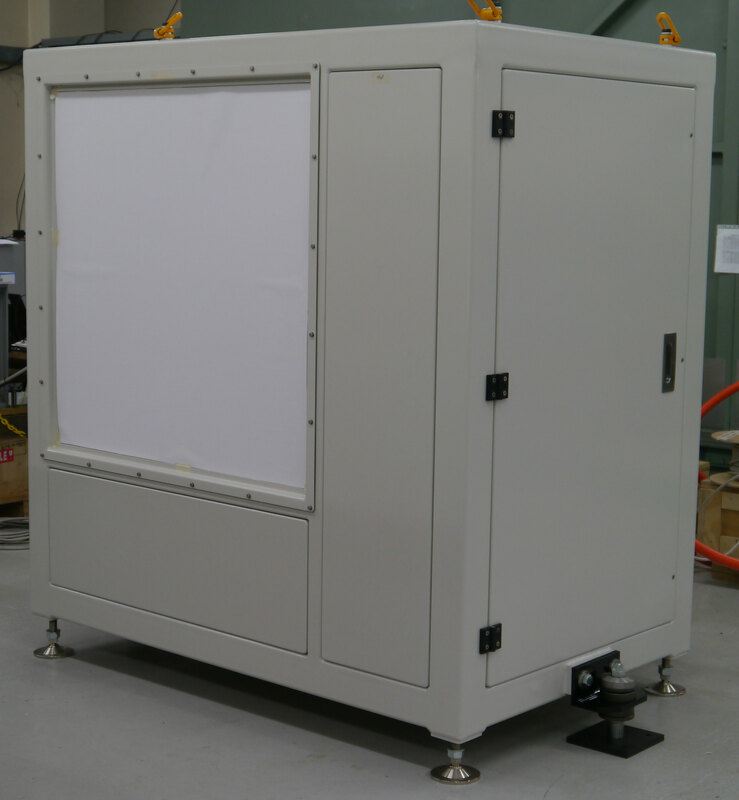 The LSXI technology allowed us to manufacture a number of real time radiography systems for use at up to 15MeV. They are suitable for both Digital Radiography (DR) and Computed Tomography (CT) applications.